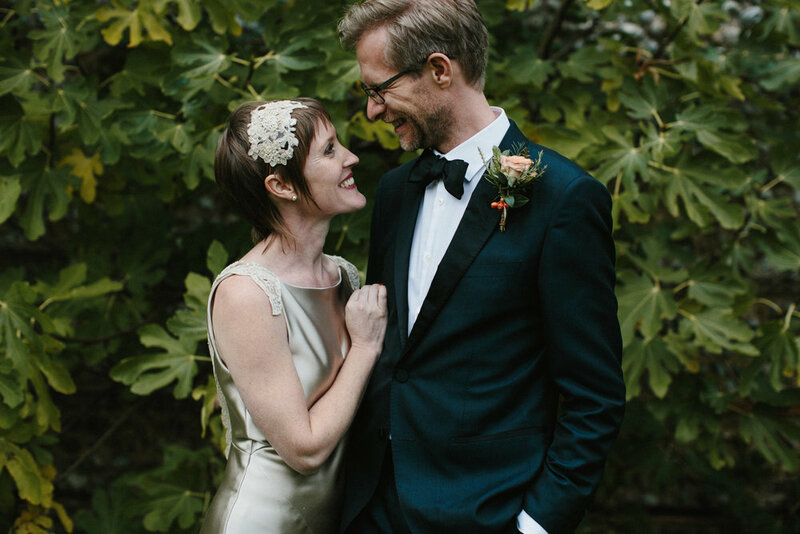 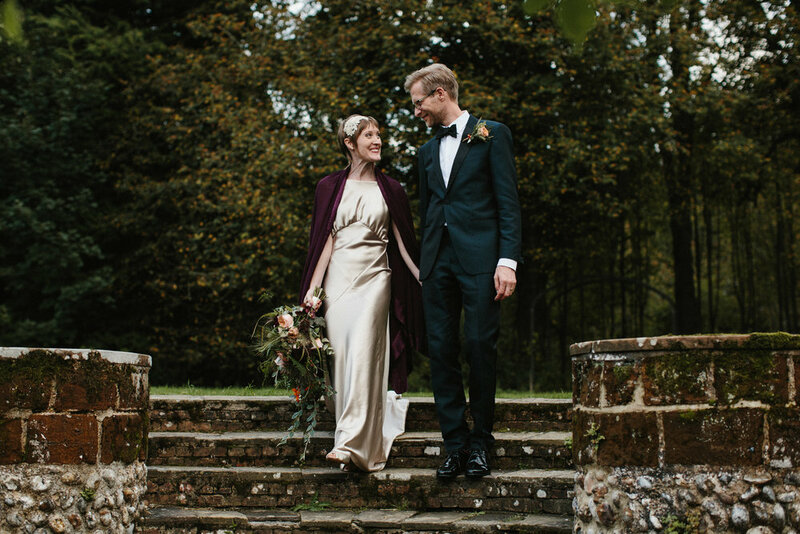 Rosie picked Honeysuckle to wear on her wedding day – a beautiful bias-cut gown made from heavyweight oyster coloured silk-satin. 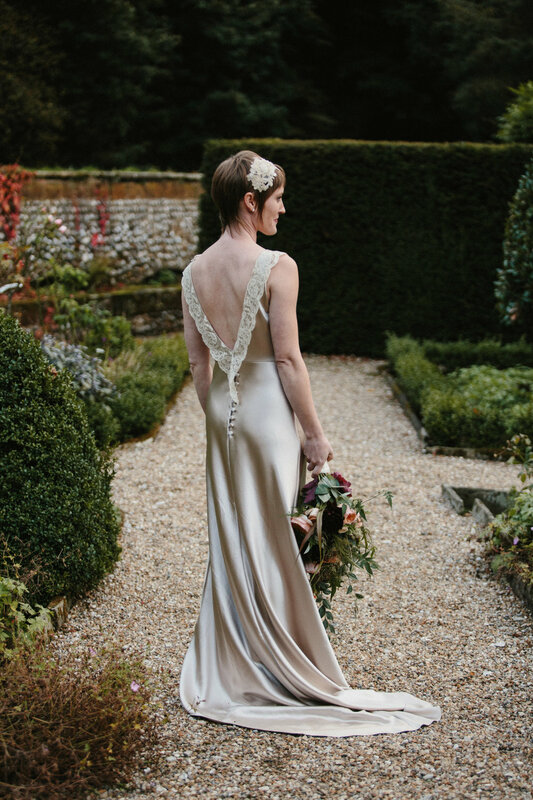 We lowered the back V to plunge almost to her waist, and finished it with a delicate antique lace trim and a row of covered buttons and roleau loops at the centre-back. 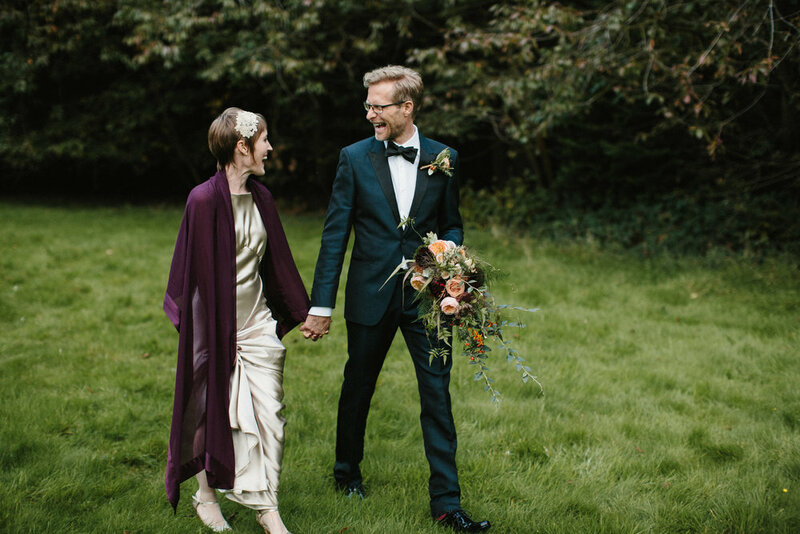 Rosie paired it with a striking beaded lace handmade headpiece, and an incredible bouquet. 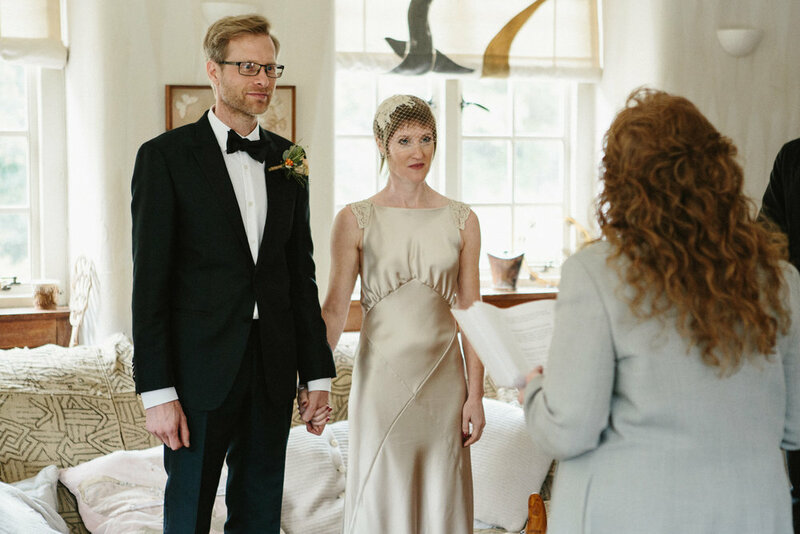 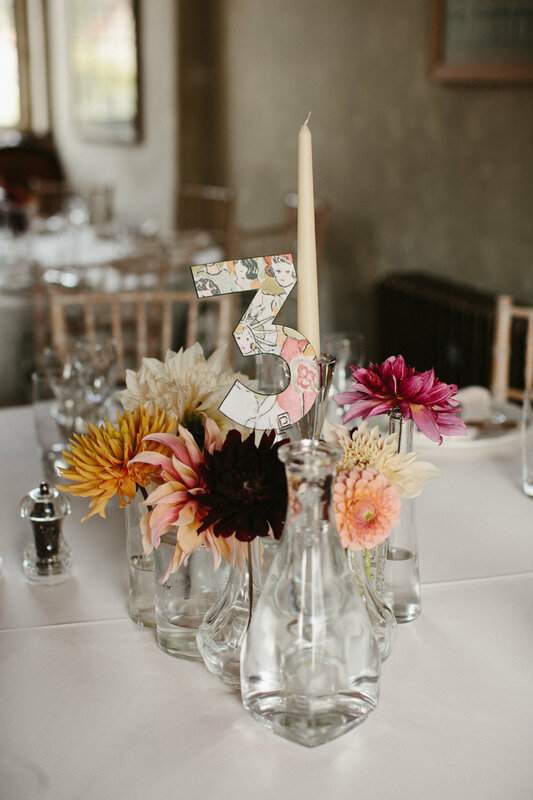 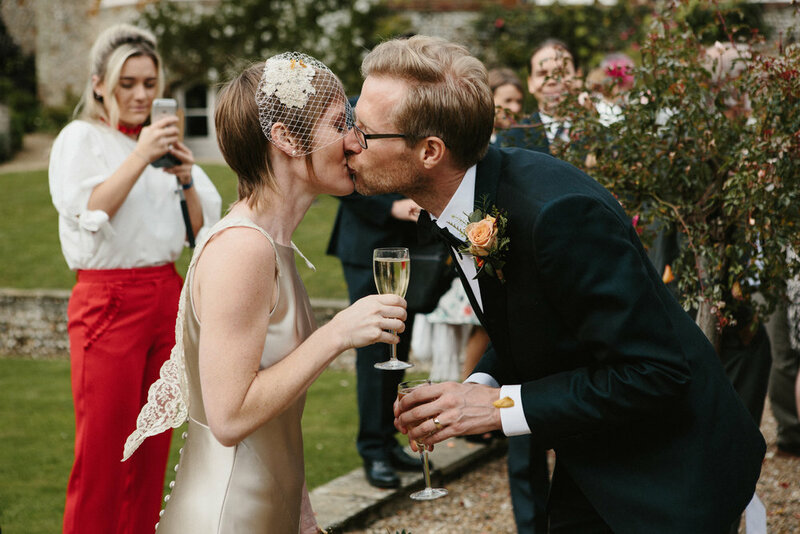 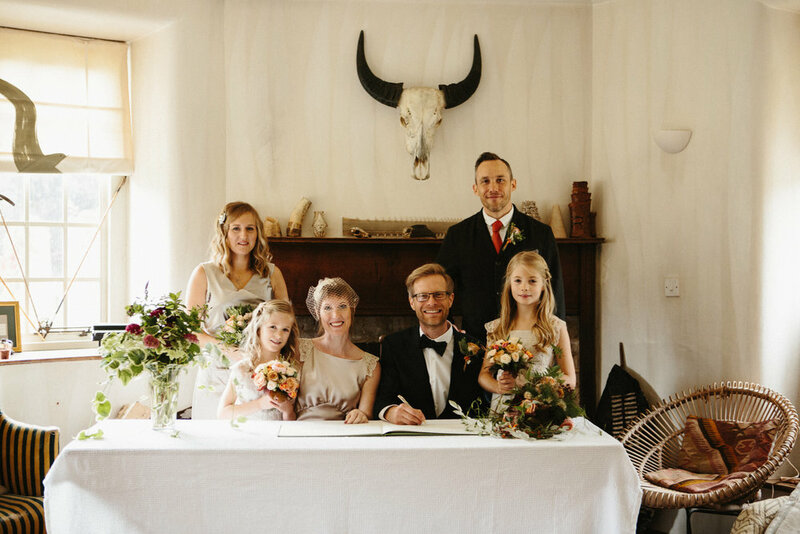 Rosie and Dom were married at the incredible Voewood in Norfolk, which perfectly marries a striking period building set in beautiful grounds with lots of stylish and quirky design details. 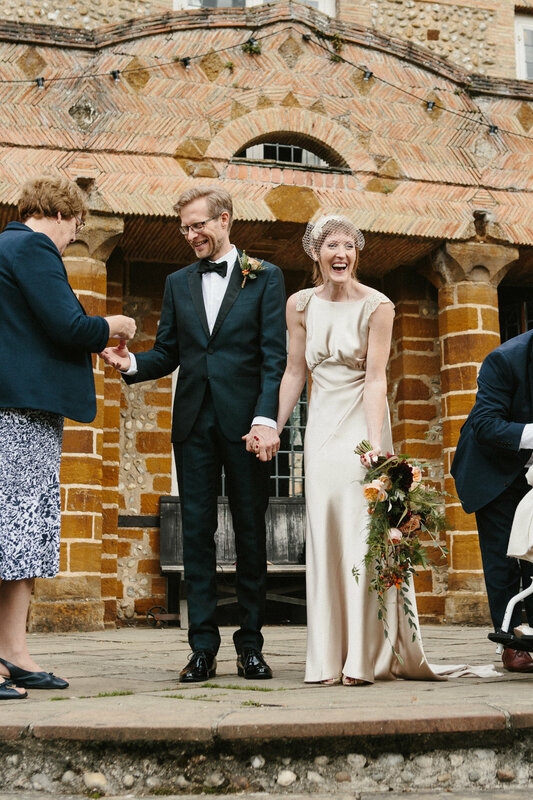 Theirs was an emotional day filled with love and thankfulness, focused on family and friends. 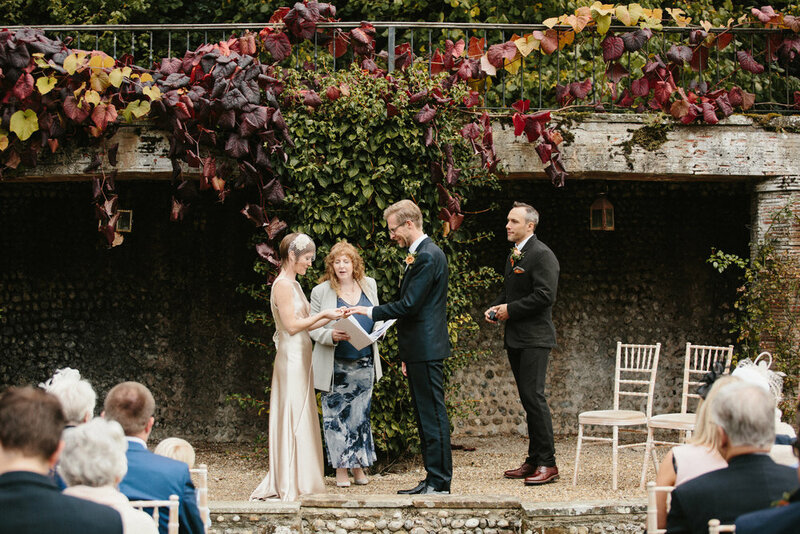 The outdoor ceremony looks so very beautiful. 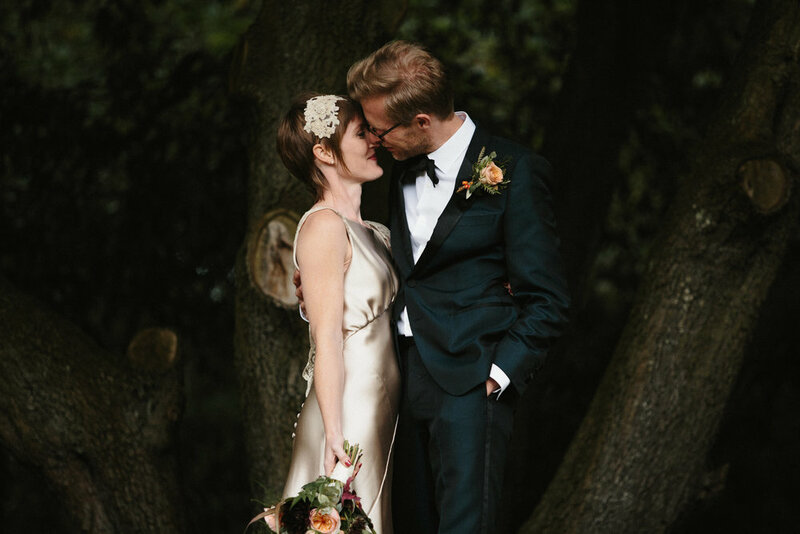 Understatedly beautiful wedding gowns for modern brides, designed and hand made in Sheffield, Yorkshire.